Contains the full text of the readings for each Sunday over the 3 reading years A, B, C. With psalms in line. 7.2 x 5 x 1.6 inches. The psalm is included inline within the pages for the week. This is the Pew edition of the Revised Common Lectionary, which contains all the material in the Lectern edition, together with the Collects and post-Communion prayers of the Church of England. It includes the psalm for each Sunday or feast, with response, and variations for the Church of England, the Church of Ireland, the Church in Wales, and the Episcopal Church of Scotland. It uses the NRSV, considered the best version for reading in church. 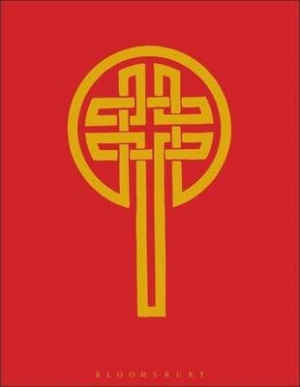 Revised Common Lectionary Pew (Red) by Canon Michael Perham was published by Continuum in July 1998 and is our 8789th best seller. The ISBN for Revised Common Lectionary Pew (Red) is 9780826461650. Be the first to review Revised Common Lectionary Pew (Red)! Got a question? No problem! Just click here to ask us about Revised Common Lectionary Pew (Red). A:Thanks for your question about this edition of the Revised Common Lectionary in NRSV. This edition contains all the material and references for all three liturgical years: A,B and C which cycle one after the other. Each liturgical year begins on the first Sunday of Advent. Year B begins on Sunday 30 November 2014 and runs to the until 22 November 2015. (Year C begins on Sunday 29 November 2015). Is the weekly psalm, collect and post communion prayer included for each week? What does the Revised Common Lectionary Pew (Red) contain? A:The Revised Common Lectionary Pew (Red) contains the full text of the readings for each Sunday over the 3 reading years A, B, C.
Which Bible translation is used in the Revised Common Lectionary Pew? A:The Revised Common Lectionary features the RSV translation.